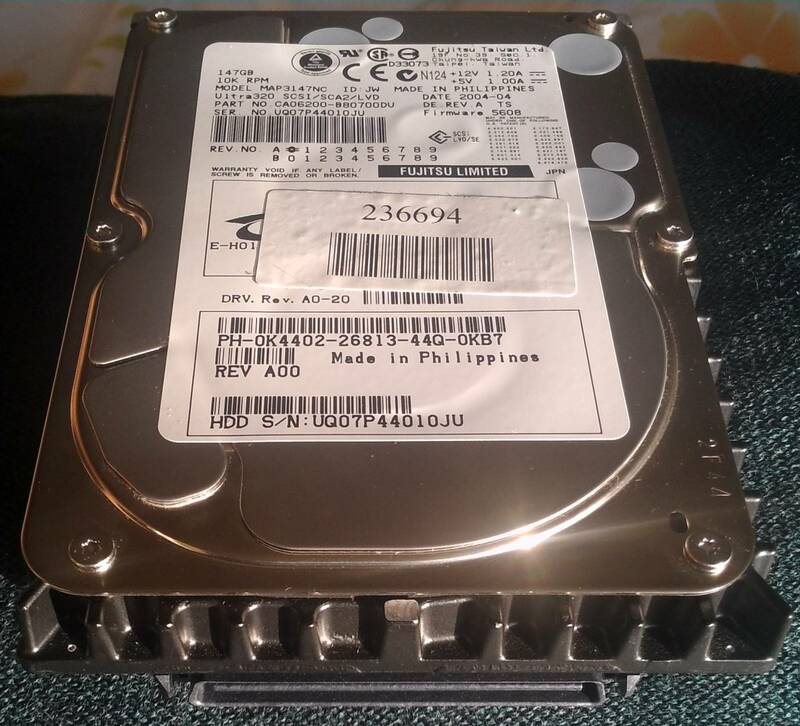 146,8 GB, 320 MB/s, 10000 aps/min. ∅3,5" × 1" (skersmuo × storis, aukštis). 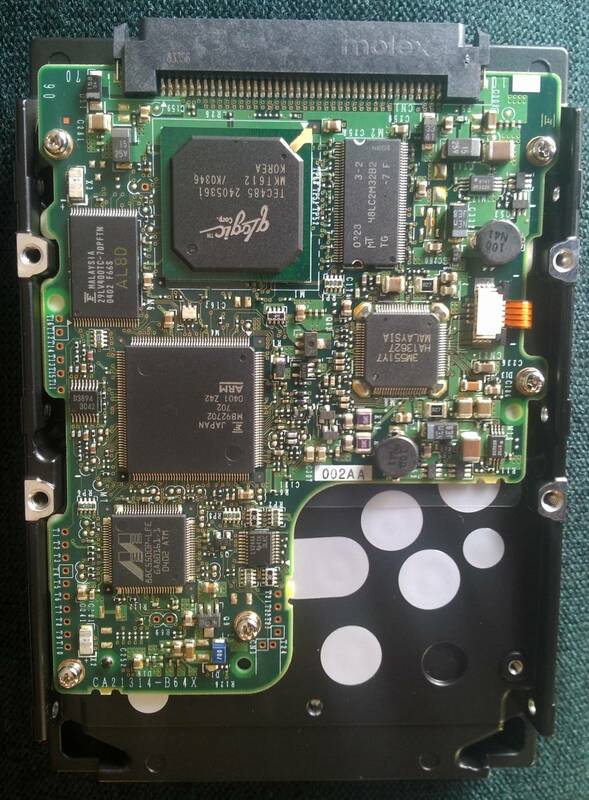 Fujitsu model: MAP3147NC, ID: JW, firmware: 5608, rev. A00, ser. nr. UQ07P440010JU, date: 2004-04. 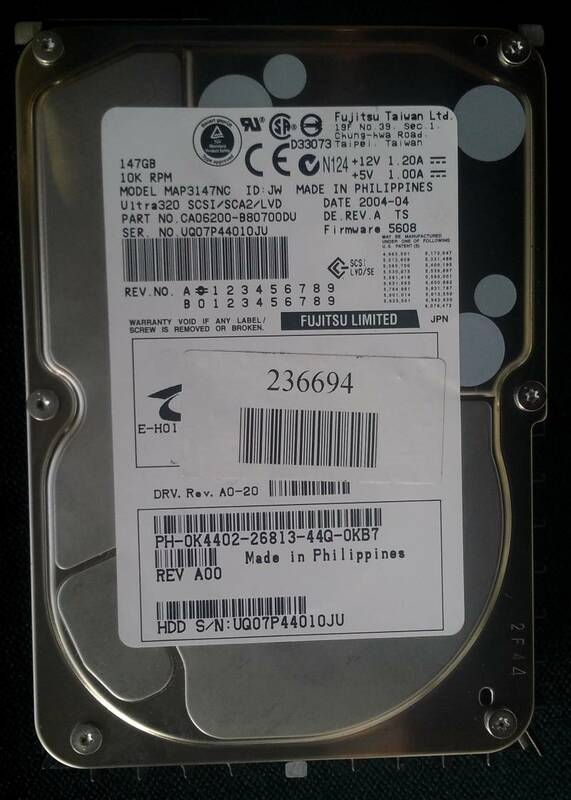 Fujitsu Limited Japan, made in Filippines, Fujitsu Taiwan Ltd.
Made by Hewllet-Packard in Singapore by Seagate technology. 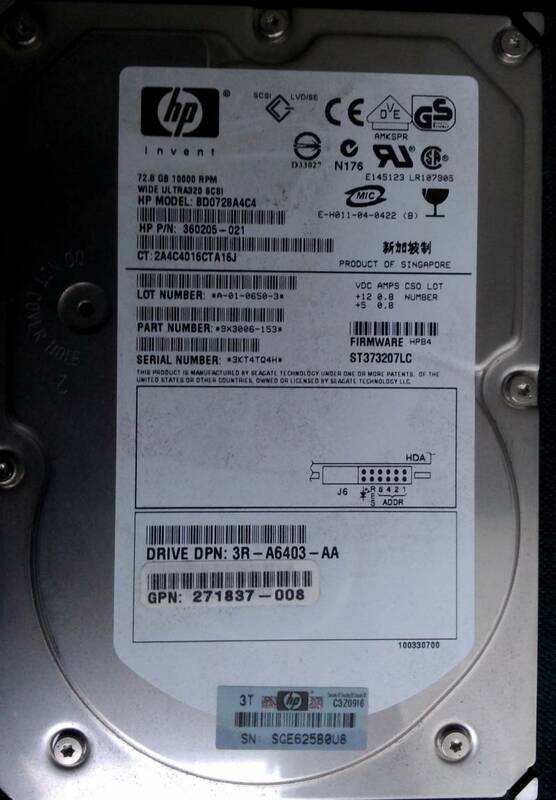 HP model: BD0728A4C4, firmware: HPB4 ST373207LC. 72,8 GB, 320 MB/s, 10000 aps/min. ∅3,5" × 1".